International Children’s Football Week Free v Free. You could not get a greater contrast between the two venues. The Powerleague venue in one of the richest, football mad cities on the planet and a school field in rural Putauaki. The school is mainly home to the indigenous Maori people and rugby is the main sport. 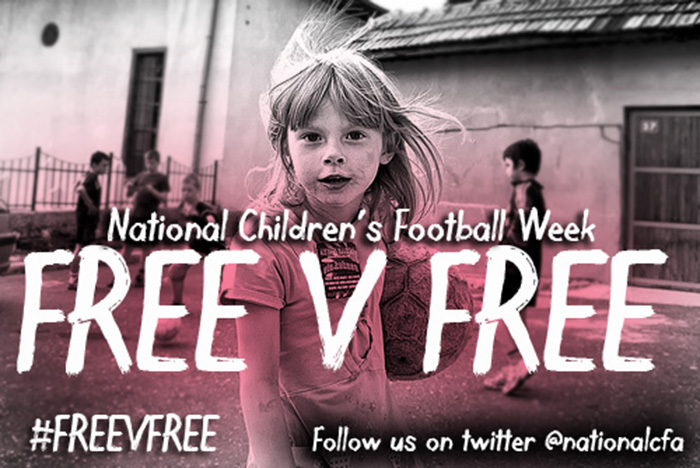 The National Children’s Football Week is about free play and football. Although the children are on separate sides of the world, they play in exactly the same way, the sheer physical and mental joy of human movement and play. ‘The Putauaki World Cup was a really fun day! Not everyday at school that you get to do 3 back to back world cups- the fields were a hive of activity! Most of the kids had never played in a football tournament before (rugby is the main sport over here) so it was great to see everyone getting involved! Parents and teachers were pretty excited on the sidelines cheering for the “international stars”! In the youngest kids’ world cup there were surprise winners of Belgium! The intermediate kids Chile took the victory and the oldest kids’ world cup was won by Brazil- who were much more successful than their real life counterparts! The kids loved the world cups and have been asking everyday when the next one will be!’ Rebecca Todd, NCFA Ambassador, New Zealand. The children’s game they play is the same as the most important football game ever played a hundred year’s ago in no man’s land during the Christmas truce in WW1. The National Children’s Football Week celebrates that famous game where men from both sides of the conflict forgot for a moment the horrors surrounding them and reached out to each other through play. As well as the organised events on four different continents the NCFW was about spontaneous games in gardens, playgrounds and parks. Another aspect of the NCFW is that every event is free. For many families here in the UK organised football has become too expensive and thousands of children now miss out on playing the game they love. This is a situation that The NCFA feels is wrong as football is a global game because of it’s simplicity, a ball, players and something for goal posts. It should be the right of all children to have access to free play and something the NCFA and its partners will work tirelessly to achieve. We would like to thank Powerleague and Mitre for their support at Wembley and look forward to adding many more venues for next year. 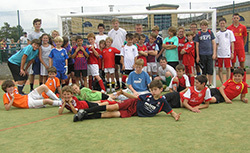 Liverpool’s: Luke & Ethan – Jumpers for Goal Posts (left and right) Olympic Juniors (centre). 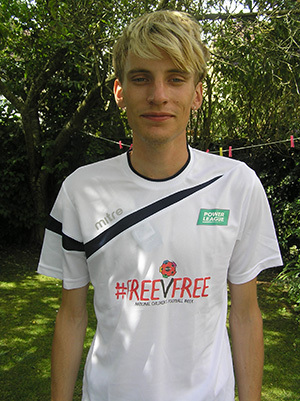 Watch one of this year’s events and you decide whether football should be free?